Timeworks Mantel Clocks are the leading makers of some of the most decorative mantel clocks. Each Timeworks mantel clock is individually made by hand. They use the finest components available - solid, hand-antiqued brass for cases and pendulums, die-cut steel hands with time-worn patinas, and more. 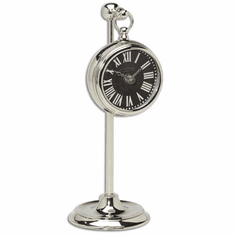 Timeworks mantel clocks use the finest obtainable quartz movements to ensure reliable and trouble-free service. Inspire your imagination with creative looks for today's home decor with any of these mantel clocks from Timeworks. 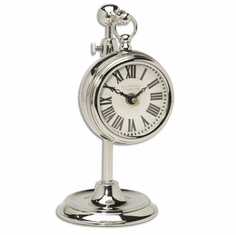 One of our top selling Timeworks mantel clocks is the Pocket Watch Woodburn mantel clock. Every Timeworks mantle clock comes with free shipping and our 30-day money back guarantee. Welcome a Timeowrks mantel clock into your home or office and experience the Simply Mantel Clocks difference. Timeworks mantel clocks (also referred to as a "mantle" clock) offer different styles for different tastes. 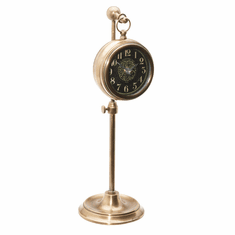 With their brass and antique designs, these mantel clocks can spruce up any area. Timeworks mantel clocks feature quartz battery operated movements, run on batteries and require no winding. At Simply Mantel Clocks we offer the guaranteed lowest prices available on Timeworks mantel clocks. We can do this because we are an authorized Timeworks dealer. And unlike many other non-authorized dealers, we back every mantel clock with a 30 day guarantee. Let us help find you a mantel clock that will become a treasured family heirloom for years to come.